You own a web store and you’re looking for all the possibilities the E-commerce world has to offer? You’ve come to the right place. This zone has been created by E-commerce experts who would like to share their knowledge with all web merchants. In this Unravelled Zone, you will get to learn all the tricks and tips to help you engage with your customers better and sell more. We will be showing you how to implement different techniques on your website and examples of how others already did it successfully. You’ll learn how to start an E-commerce business from scratch, how to manage your product data better, how to get more conversion on your web store and so much more. Stay to read. Unravelled Zone is an initiative, created by Sheetly. 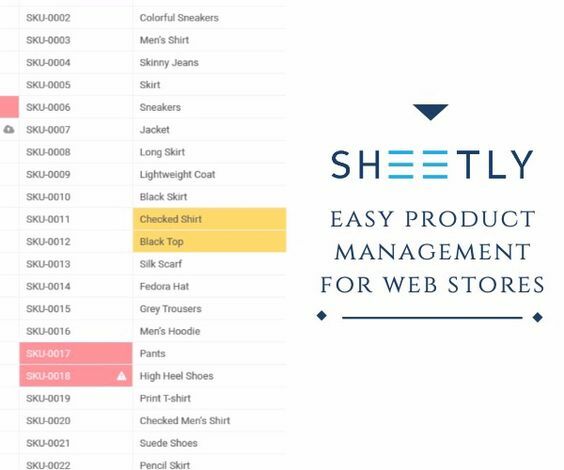 Sheetly is a software company on a mission to help web shop owners around the world to finally overcome an age-old problem – product information management. Sheetly created Unravelled Zone with the idea to give E-commerce store owners around the world a trusted zone, dedicated to unraveling the daily challenges they all face. We know a few things about E-commerce and we thought we shouldn’t keep this knowledge to ourselves… why not put it out there, so you, the reader, can have a reliable source of E-commerce information. A little introduction to me, the person behind Unravelled Zone! My name is Katerina Nikolova and I am the Editor in Chief of Unravelled Zone. I have been part of the team behind Sheetly for years as a communications person. My responsibilities include enhancing the tone of the company and giving Sheetly a voice that can be heard even louder. Now, I am heading up this exciting new initiative we’ve just started and I hope you will like what we’re doing here. If so, give us your support on Twitter. Follow us.